Come join us for an evening with Aware Girls founders Gulalai and Saba Ismail and hear their views on empowerment of girls and young women in Pakistan. 601 West 26th St. suite 315. 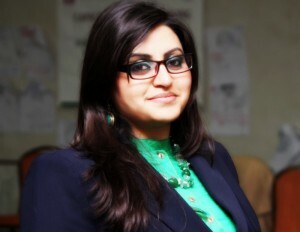 Gulalai Ismail, is the founder and Chairperson of Aware Girls; a young women led organisation in Pakistan working towards gender equality and peace which she established at the age of 16. She is a highly motivated women’s rights and peace expert, founder of the first ever young women and girls’ led organization Aware Girls working for women empowerment, peace building and countering violent extremism, with over 13 years of experience of human rights and peace work. She has received 2009 YouthActionNet Fellowship, 2012 International Democracy Award, 2014 Humanist of the Year Award, 2015 CommonWealth Youth Award for her extraordinary efforts in building peace, gender equality. She has been recognized among 100 Leading Global Thinkers by Foreign Policy, 2013 and among “30 Under 30” youth activists by National Endowment for Democracy, USA. She recently received Chirac Peace Prize for her work on building peace, conflict resolution and countering violent extremism. She is also the Gulmakai Champion of The Malala Fund.